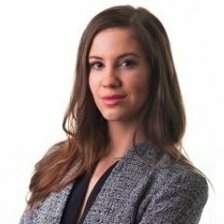 Denitza Tyufekchieva is a blockchain advocate & co-founder and VP of Business Development of Propy. She is expert in token sales, ICO legislation, real estate, token economy for physical assets. She spoke at numerous Blockchain events in Silicon Valley and Europe. Propy, a Blockchain real estate startup has announced its new service that will completely secure and automate the real estate transaction process globally.